Updated, 10:30 p.m. Sunday: Comment from Doug Adams; 3:30 p.m., Saturday: New story added. Retail streets are in, traditional malls are out, according to The Architects Newspaper. “Although new ‘traditional’ malls are rarely being built, shopping centers are still popping up, or being reformatted. Perhaps ironically, one of the most popular mall replacements are retail streets,” the story published Tuesday states. The story goes on to describe the planned Coral Gables Miracle Mile, a pedestrian-friendly experience, and the planned Miami World Center, also heavy on the pedestrian aspect. Miracle Mile was originally planned to include big-box anchor stores but this was rethought as the industry changed, the story states. “World Miami project is 26 acres right in the middle of Miami. It is 20+ times the size of our project and therefore different in concept and design,” Adams said. “GGP Inc (NYSE:GGP) saw unusually large options trading on Monday. Stock investors bought 11,842 put options on the company. This is an increase of approximately 1,096% compared to the average daily volume of 990 put options,” Baseballnewssource.com reported Thursday. “A put option is an option contract giving the owner the right, but not the obligation, to sell a specified amount of an underlying security at a specified price within a specified time. This is the opposite of a call option, which gives the holder the right to buy shares,” Investopedia states. An August story from Forbes state that new options were trading, with an April expiration. “One of the key inputs that goes into the price an option buyer is willing to pay, is the time value, so with 242 days until expiration the newly trading contracts represent a potential opportunity for sellers of puts or calls to achieve a higher premium than would be available for the contracts with a closer expiration,” Forbes states. To see other stories, click the link. GGP is finding creative ways to reimagine its shopping centers to compete with online behemoth Amazon, CNBC reports. That’s in a story about potential opportunities in the closings of Macy’s and J.C. Penney’s. Mayor Harry Rilling, after Tuesday’s Common Council meeting, restated his support for The SoNo Collection. The Sears at The Mall in Columbia, a Baltimore area mall opened in 1971 and renovated in 2014 by GGP, is being shrunk from two floors to one, according to news reports. 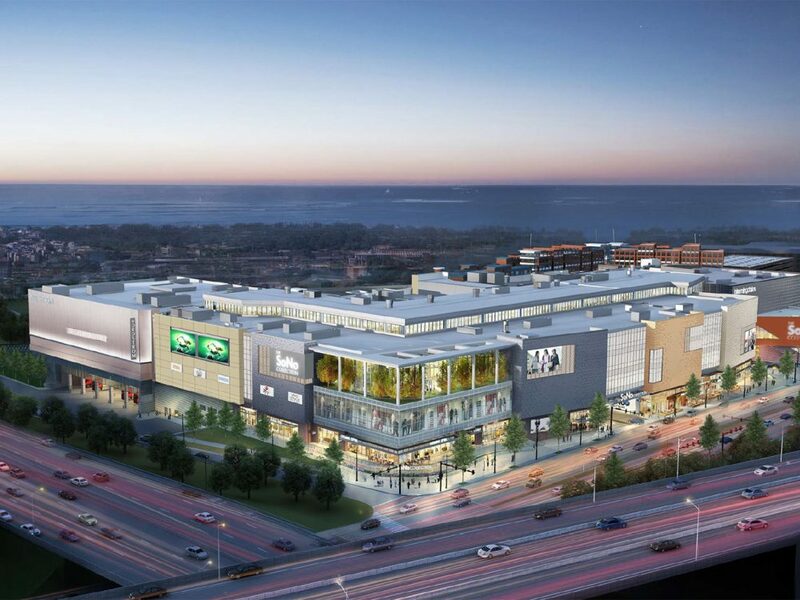 The space will be replaced by a Barnes & Noble, with a full service restaurant, and an entertainment center that includes bowling, laser tag, billiards, video games and a full-service restaurant, the Baltimore Sun reports. Is there any information on how the 3.5mm community development fund is earmarked to be spent? While this go into general funds and be used to lower real estate taxes? It would have to go into the general fund, Mayor Rilling said. The $3.5 million will go to improve the urban core, Rilling said, explaining that the technicality is that, as with any government, it will have to go into the general fund first and then the city will have to figure out how to allocate it to do the most good. Fair Housing Commissioner Daisy Franklin asked about a fund to create housing for people who make between $35,000 and $65,000 a year, referring to as 35/65 housing, given that housing had originally been planned for GGP’s site, on West Avenue adjacent to Interstate 95, and originally created by taking properties through eminent domain. Rilling said that GGP’s LDA did not include housing, but said the possibility of using the GGP cash to create a 35/65 fund is being studied. Thanks Nancy for the interesting article from The Architects’ Newspaper. It’s helpful to hear what’s going on in the trade. How exactly is Norwalk immune to what is going on in the rest of America as it pertains to retail stores and Malls??? What crystal ball does GGP and the common council have? Has anyone heard an official statement from the proposed anchor stores? As much as I would like to see something happen in the Reed-Putnam Development area before I die, is a mall really they way to go at this point in time?